IRAs Simplified Top 5 Mistakes Investors Make Video: New Year, New You, New IRA? "WE BELIEVE that if we spend the time to get to know our clients, we will be better able to serve them." Glenn has lived in Flagstaff for over 10 years and has strong roots in the community and local business sector. 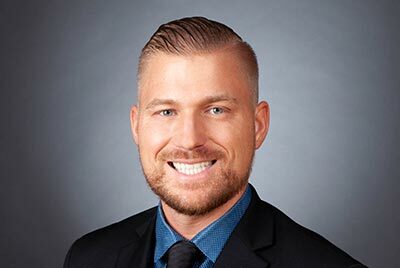 Given his unique real world business perspective and down to earth communication skills, Glenn has an excellent ability to connect and communicate complex financial strategies to his clients. Glenn is licensed in Arizona in Health & Life Insurance and Disability Insurance. He also holds a Series 65 license. Glenn started his career in 2012, working for an all-inclusive financial planning firm focused on individuals and small businesses. Glenn also developed an expertise by working with employer sponsored benefit plans, including 401k plans. Glenn spends considerable time with his clients working to understand their financial goals and allowing him to guide and make complete financial planning recommendations. He is experienced in securities transactions, wealth accumulation/protection, coordination of employer benefits, retirement income projections and strategic financial planning. In his spare time Glenn serves as a youth pastor at his local church. He also enjoys bodybuilding and has competed in national competitions. Glenn and his wife Breanna were blessed with their first daughter, Parker, in 2014. Don't be surprised if Glenn shows you a recent picture of his family, or shares his joy about being a new father and his work with youth events. One of Glenn's core beliefs is to always do what is good, right and best for his clients. With that foundation, his recommendations and advice are custom-tailored to help his clients achieve their unique goals, both personal and financial.